Stacy Johnson | Dorner Mfg. Corp.
At Dorner our mission is to Transform Conveyor Automation by providing cutting edge solutions with best-in-class support. It’s that commitment and history of proven excellence that has made the Dorner Brand a recognized leader in conveyor systems for over 50 years. 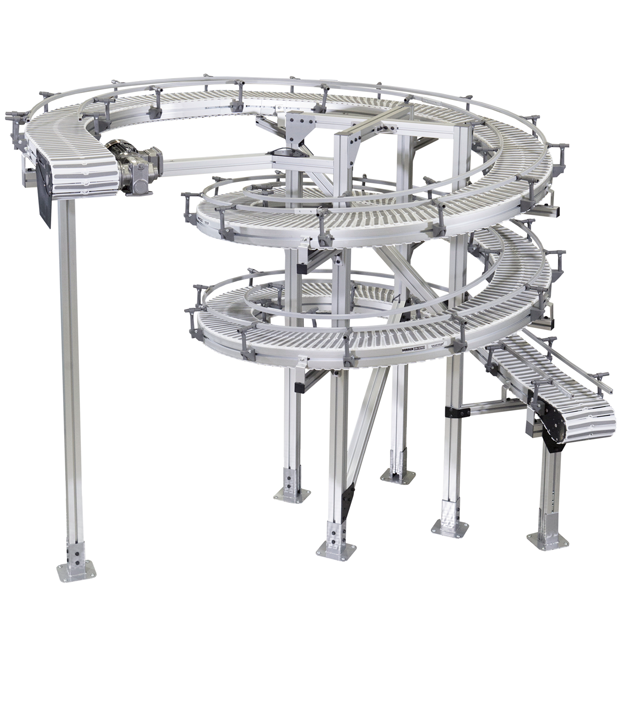 With our complete line of customizable stainless steel and aluminum conveyor automation systems, Dorner can provide solutions for almost any conveyor need. Dorner’s conveyors are designed to move product to the exact location, at the exact time and in the exact position it needs to be for the next phase of the production line. With benefits such as industry best product transfers and in-house belting capabilities, Dorner is leading the market in precision conveyance. This extremely accurate product control allows Dorner conveyors to easily integrate with robots, workers and equipment. Pack Expo is by far our biggest event of the year. This show is always well attended and attracts a broad group of consumers. We get both quality and quantity attendees from PACK EXPO, which is ideal. Attendees come with active projects and real applications and they’re ready to do business. It continues to be a successful event, year after year. Dorner will be showcasing 6 different demos with 13 unique conveyor platforms. Two of the demos showcase our new redesigned AquaGard 7350 Series which is scheduled to launch this October. The next generation of AquaGard 7350 Conveyors feature an improved frame design, nose bar transfer options, the industry’s safest and most robust curve modular chain as well as a new positive drive option. We’ll also be featuring a complete line of SmartFlex® Conveyors including our Helix, Twist, and Wedge configurations. SmartFlex flexible chain conveyors feature a compact design that allows flexibility in layout and design. Pack Expo offers so many opportunities for education and networking. In addition to participating in the Amazing Packaging Race, I’ll be attending various other events hosted by PMMI. The WLN Networking Breakfast provides an excellent opportunity for women in this industry to get together and share experiences. https://www.pmmi.org/womens-leadership-network/events. Also, as a member of the PMMI Emerging Leaders committee, I’m looking forward to the ELN Networking Reception on Monday night. Often times the significance of the conveyor in the packaging line can be underestimated. A packaging line can only go as fast as your conveyor. The entire line is limited by the slowest machine on the line. With our conveyors, we put a big focus on precision and product orientation so when it gets to that next piece of equipment, it’s ready and it won’t be the bottleneck. 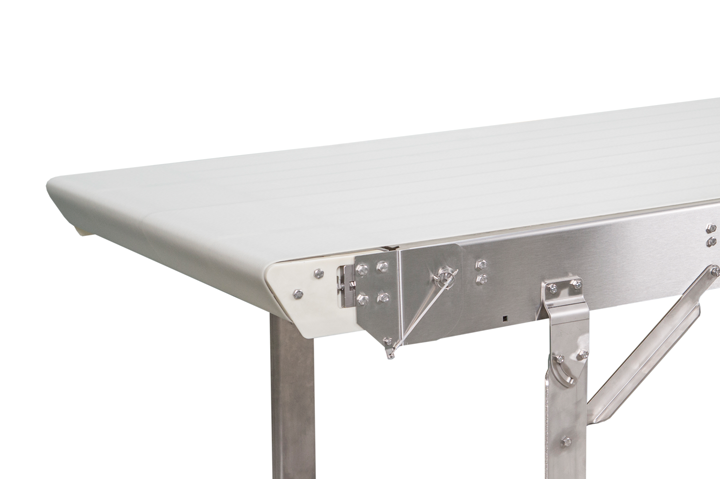 So often, the simplicity of conveyors is overlooked. Automation really demands efficiency. Integrating robots with precision conveyor systems is one way to enhance the productivity of a processing line. Robotic applications often require a product to be in an exact spot on the conveyor at the right time. But to do that successfully requires a conveyor system that’s efficient, reliable and engineered to work in conjunction with robotics. Conveyor design is certainly being affected by the continuing trend of flexible assembly lines. When customer demands change and product cycles end, assembly lines need to be flexible to accommodate different applications. Stacy Johnson is the director of marketing and strategic planning at Dorner, a privately held manufacturer in the design, application and integration of low-profile conveyor platforms. Founded in 1966 and based in Hartland, Wisconsin, Dorner is a privately held World Leader in the design, applications, manufacturing, and integration of conveyor systems. Companies from over 1,200 different industries worldwide turn to Dorner to achieve improved efficiency, productivity, and a positive ROI. Booth #7732 - Dorner will be exhibiting our platforms aimed at automation and robotic applications. Dorner’s 2200 Precision Move Pallet conveyor is designed to provide accurate positioning and routing of parts for assembly, robotic and inspection applications. Booth #5014 - The next generation of AquaGard 7350 Conveyors feature an improved frame design, nose bar transfer options and the industry’s safest and most robust curve modular chain. More about Dorner Mfg. Corp.